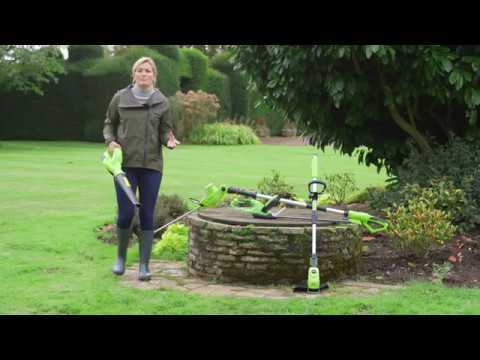 Effortlessly tidy up leaves with this 20V cordless garden leaf blower from Garden Gear. The powerful 20V machine is completely cordless, meaning there are no leads to restrict you or get tangled up in, it also allows you to carry out jobs wherever you need to. The leaf blower features a long lasting 1500mAh lithium-ion battery, giving you powerful performance combined with a quick charge time of 3-5 hours. This 20V battery is also compatible with the whole Garden Gear 20V cordless garden range. Ergonomically designed, this leaf blower features a soft grip handle and is comfortable to use thanks to it only weighing 1.76kg. Also available to purchase is a spare 20V lithium-ion battery.